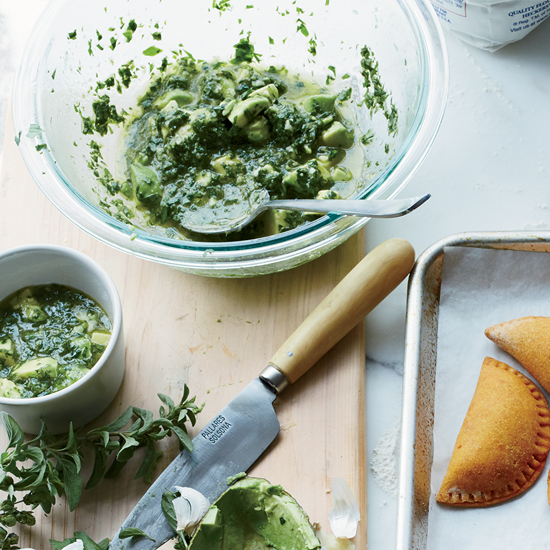 The popular Argentinian condiment chimichurri is a flavorful green sauce, typically paired with grilled meats. 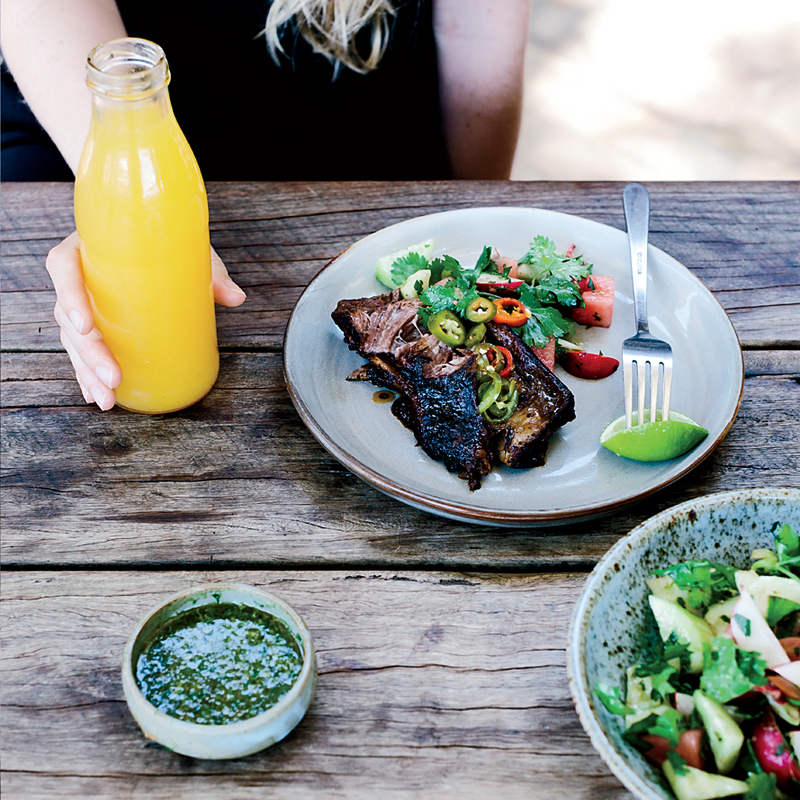 Here, a selection of recipes using chimichurri, from classic grilled steak strips to baked salmon. 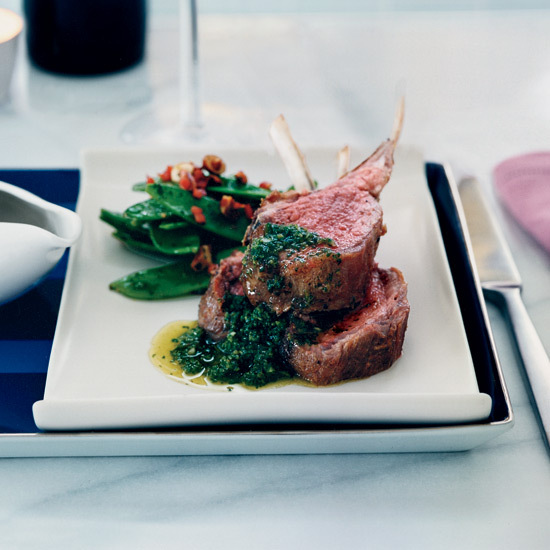 For this playful twist on British roast lamb with mint jelly, Luke Mangan serves lamb chops with a piquant condiment of fresh mint and jalapeno. 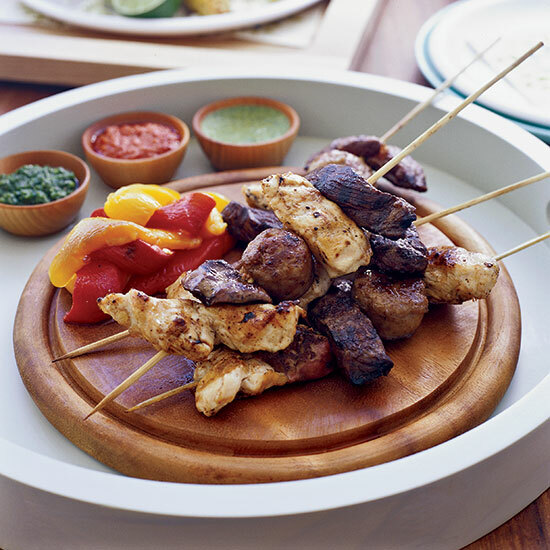 Churrasco, a Portuguese term for grilled meat, is a backbone of many Latin American cuisines. 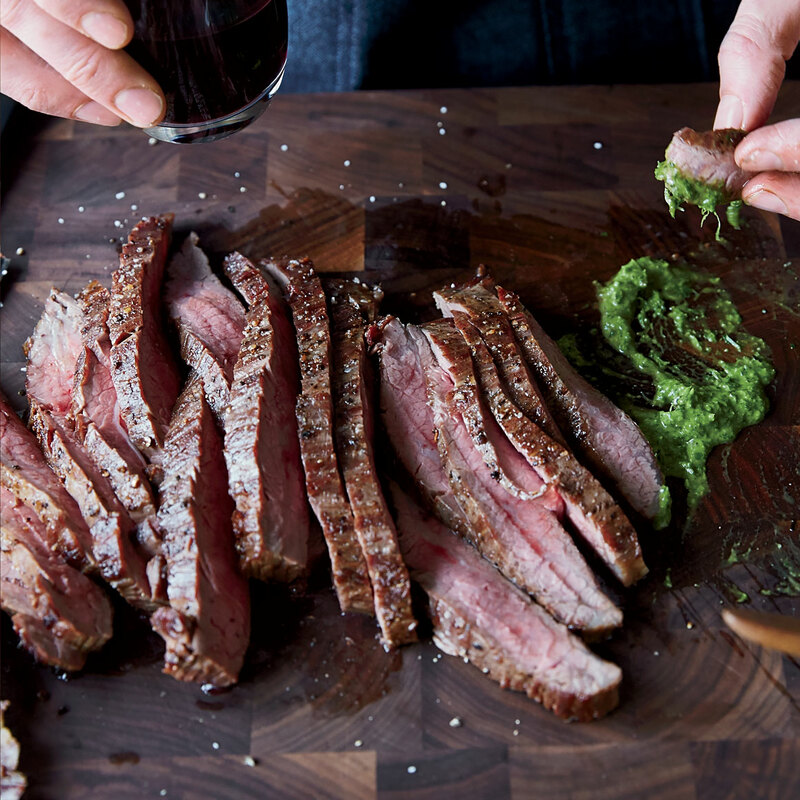 Michael Cordua makes his with butterflied tenderloin, Nicaraguan-style. 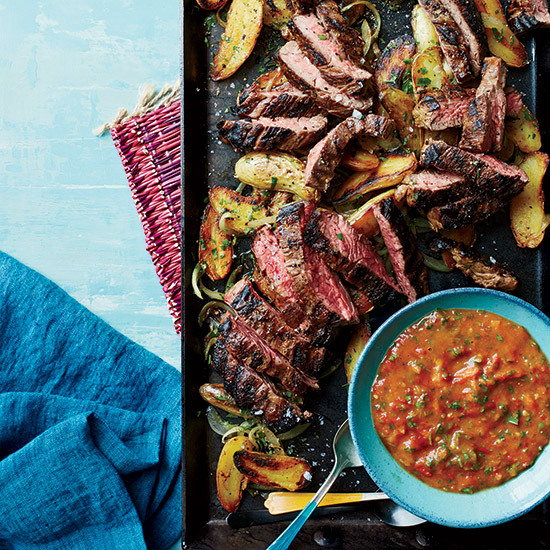 Chef Jose Enrique often pumps up a classic chimichurri by adding sweet roasted tomatoes. 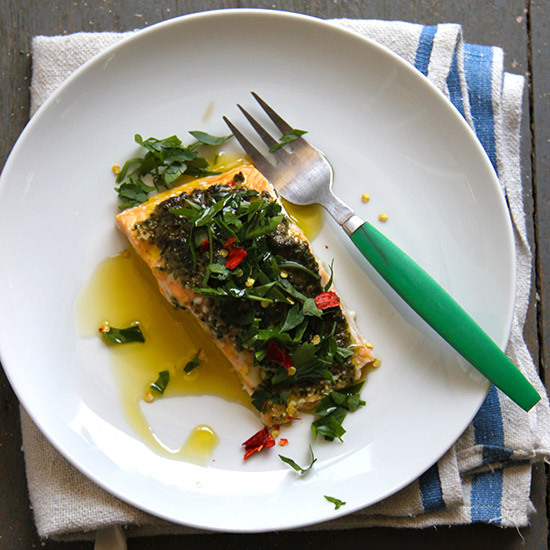 The condiment is great with steak, as well as grilled fish or poultry. 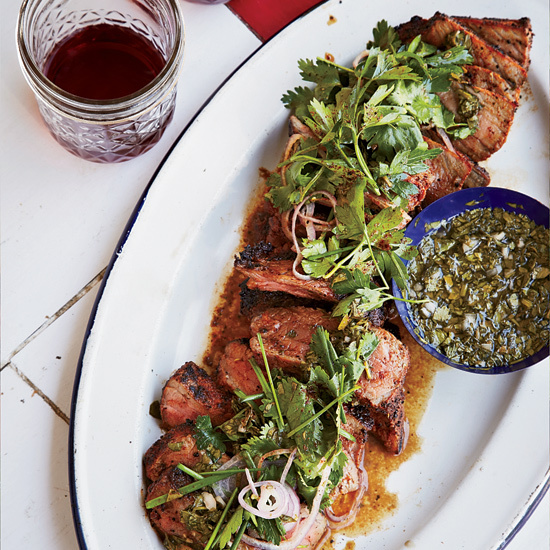 Chef Santiago Garat grills these lamb ribs at outdoor barbecue parties at the farm so they're crispy on the outside. 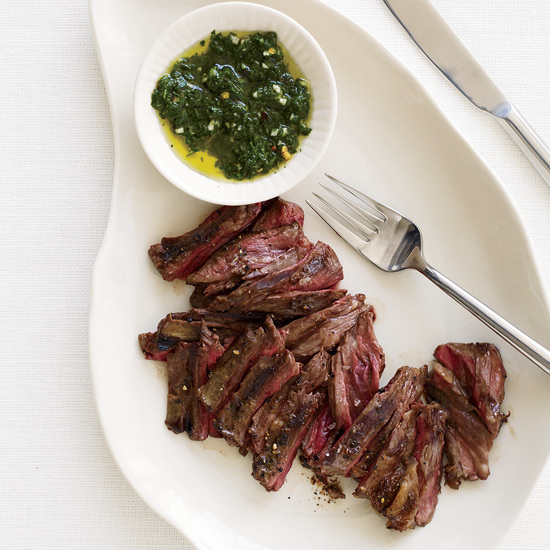 The tangy, extra-herby chimichurri is a perfect partner for the rich meat. 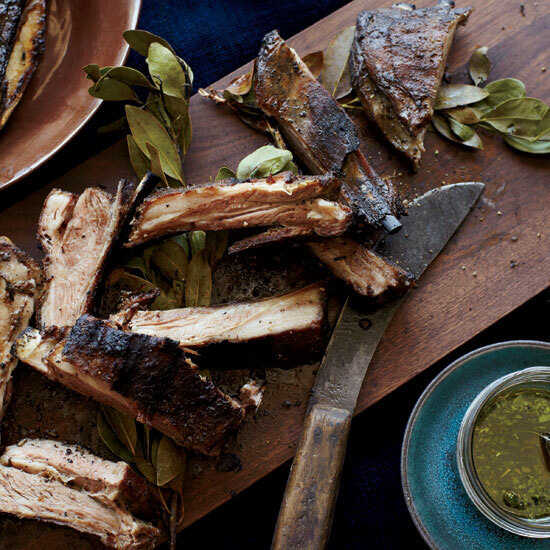 Before cooking, these short ribs are rubbed with five-spice salt so they've got deep, rich flavor. 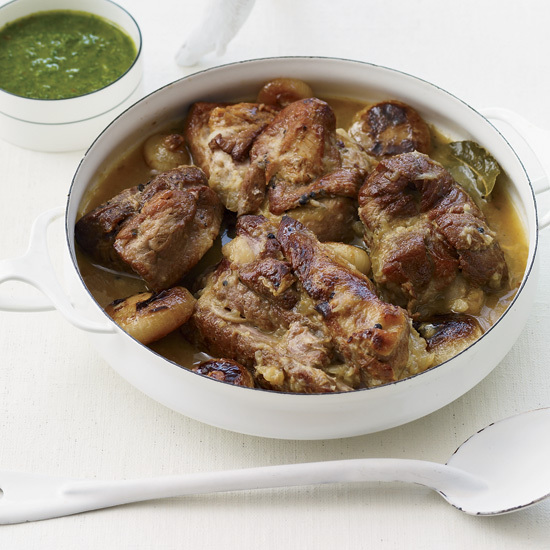 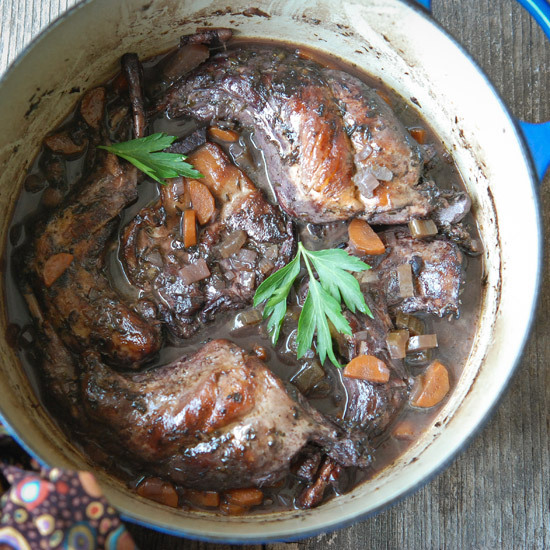 You can use either six-inch or three-inch ribs for the dish; the cooking time will be the same. 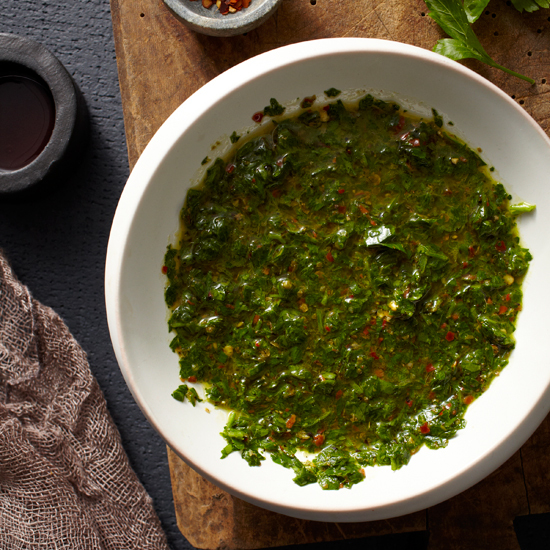 This chimichurri sauce can be made with cilantro for equally delicious results. 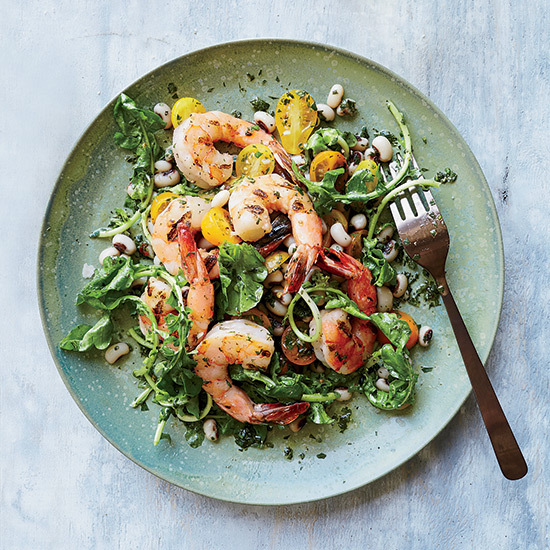 Chef Chris Hastings uses the vibrant South American herb sauce chimichurri as a marinade for these tasty shrimp, and also as a dressing for the black-eyed pea ragu that's served alongside. 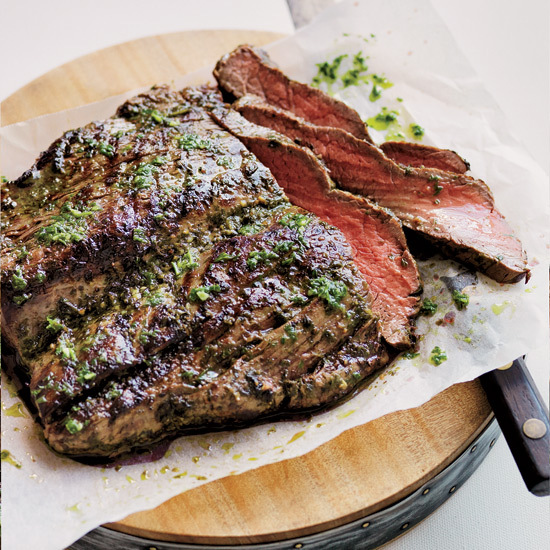 This super fast and easy sauce with fresh parsley, garlic and dried thyme goes perfectly with grilled steak or other proteins. 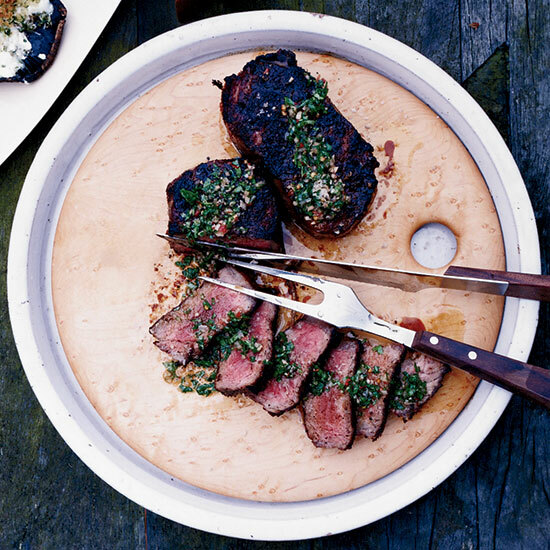 Jon Shook and Vinny Dotolo--the guys behind the Food Network show Two Dudes Catering--have a philosophy that guides them, whether they're cooking for the X Games or for their new Los Angeles restaurant, Animal: Use a big cut of meat, preferably pork, and serve it with a killer sauce.